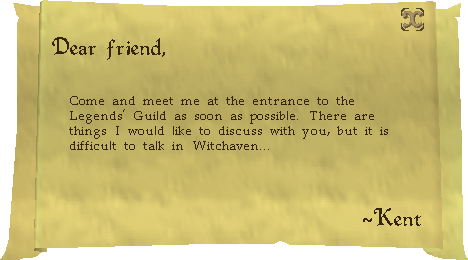 Begin by talking to Kennith who can be found in western Witchaven. 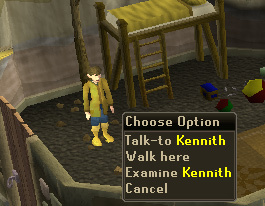 Head to Kennith who can be found in his house in western Witchaven and talk to him. 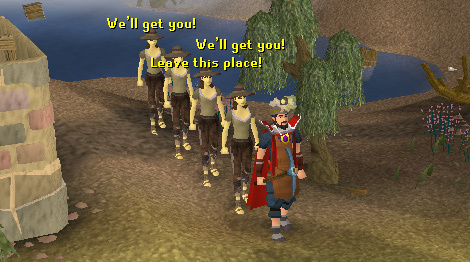 He'll explain that the villagers are acting weird and he wants you to check up on them. They can be found in the same place that you killed the Sea Slug Prince during Slug Menace, so climb down the old ruin entrance, make your way through the tunnel and over the rocks, talking to one of the Villagers once you reach them. They'll explain that they are working to prepare a surprise, although cannot say what it is because then it wouldn't be a surprise. When asked whether it was you who killed the prince, you will deny the question in an extremely suspicious manner and should head back to Kennith. He'll ask what you found and when you explain that you were unable to enter the mine as well as the fact that there was a rock slide on the way out he will simply state that it is nice, suggesting that you go on a different adventure, but is bored and wants his parents, although you don't know where they are. 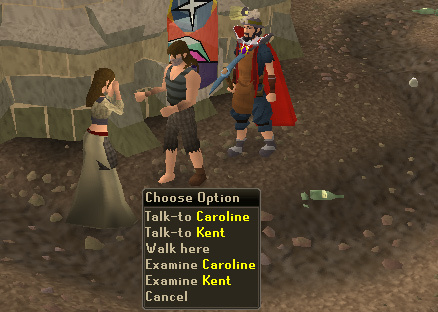 Head east of the church and talk to either Kent or Caroline. Ask if they know whether Kennith wants them and they will explain how wonderful he is, however Kent needs to go and will give you a Note that you should read. 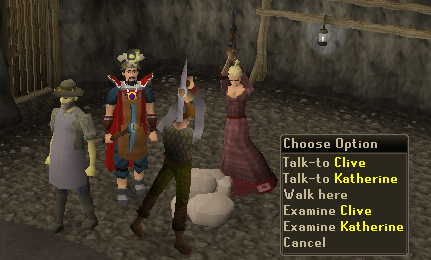 Head to the Legends' Guild and talk to Kent. He'll explain that it is hard to talk openly in Witchaven because Kennith doesn't like his parents speaking to others such as yourself. The reason that he's made you come all this long distance from Witchaven to the Guild isn't anything to do with the Sea Slugs, but in fact to do with a girl called Kimberly who lost a Toy Train and Kennith now wants revenge on, so you should talk to her to check that she is safe. She'll explain that the villagers keep knocking on the windows and chanting her name and that her parents have been out for several hours. There has been some banging and digging underneath the house, so she wants you to look for her parents with her, however at this statement a cut-scene shows - the villagers are surrounding the house and chanting! 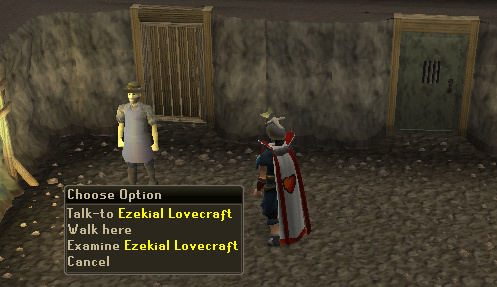 Note: Until Ezekial has left to go to the shrine, if you log out you will have to start this section again. Even though you try to make her leave the house with you, she insists that she will not leave the house until you have led the villagers to the Church to save them. To make them turn their attention from Kimberly to you, walk around the house until they are all following and chanting nasty comments. Head south to the church and lead them inside. Once they are all in, step outside and shut the door before heading back to Kimberly. Next she wants to head to Kennith's house to see if he has seen her parents. She will automatically make her way there, so you can follow her if you cannot remember the direction, although you will need to open the door to pass through. 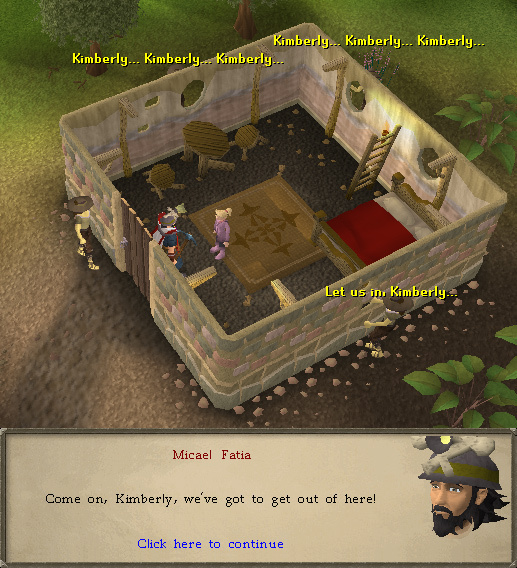 Talk to Kimberly and she will ask Kennith if he has seen her parents. Unfortunately this comment just gets back a statement that she is a wimp and that he is missing his parents, although isn't crying about it. More villagers will come and start chanting around the house, so you should lead them into the church in a similar way to leading the previous four. Once they are trapped inside the church, talk to Kimberly again and she will want to head to Ezekial in the eastern end of the town next. Follow her there in a similar way to the movement between the first two buildings and talk to her, asking whether you can explain the situation. Following your explanation, Ezekial will explain that he too is concerned about the Slug activity and renewed mining work at the shrine, with the caverns leading directly underneath Kimberly's house. 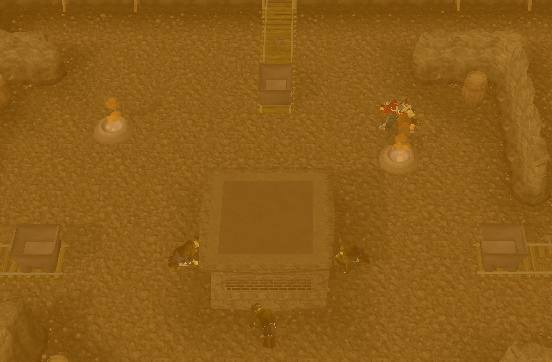 Luckily the Slugs treat him as one of them, so he will be able to go on ahead to the shrine to talk with the Villagers, ending this section where you cannot log out. Talk to Kimberly and she will assure you that she will be fine if left on her own. Making sure that you have a Pickaxe with you, head back to the shrine where you will find Ezekial. 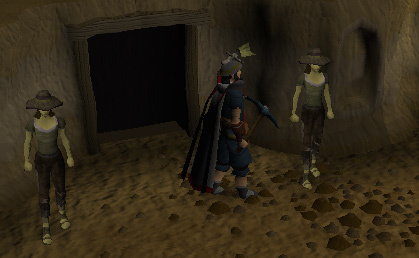 Note: If you log out when within the mines, you will appear at the entrance near the Hobgoblins. Talk to him and he will explain that he has had a talk to the Villagers about getting into the mine. Talk to one of the Villagers asking if you can enter and with assurance from Ezekial that it wasn't you who killed the Prince, you will be let in. Inside the cave you will find Ezekial who will be able to explain how you may progress. He'll take a look behind the wooden door to the north, observing that there are minecarts that you will be able to crouch behind. There is also a weakness in the wall that you should Prospect, then knock a hole in. Pass through the wooden northern door and you will find yourself in a room of moving characters that will kick you out if seen. The view will also be similar to the one that can be obtained in the Telekinetic Theater, giving you a full view of the room. Making sure that you have Run on will make navigating the rooms easier since you will be able to get to hiding positions quicker. 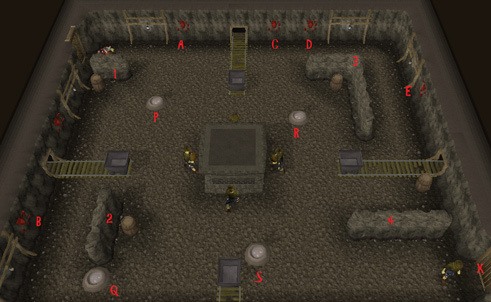 The first move you make once inside can either be to hide behind one of the minecarts or run to hide behind the wall in the south. 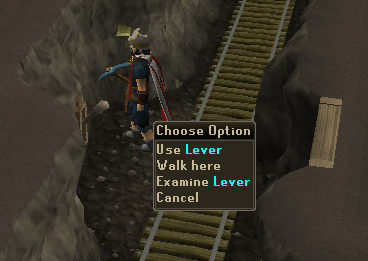 If you are planning on going the whole way, you will need to set off just as the last miner has turned to face in the other direction otherwise you will be caught. 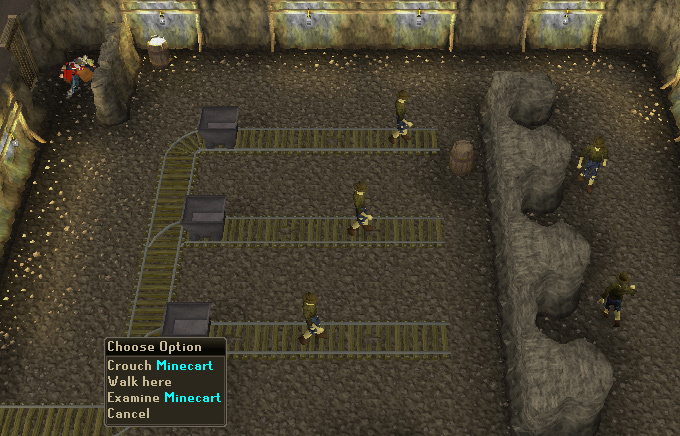 If you only get to one of the minecarts in the first stage, make sure that none of the miners are looking at you, then hide behind the southern wall, making sure you don't position yourself directly on the eastern end since you can be seen when in that position. 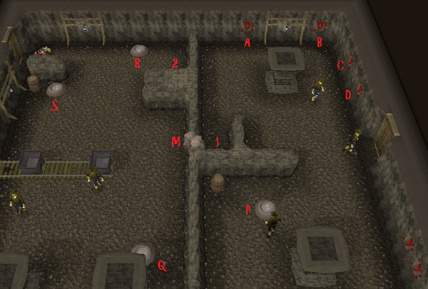 Once you are hidden behind the southern wall, you will need to make your way into one of the gaps in the wall to the east. 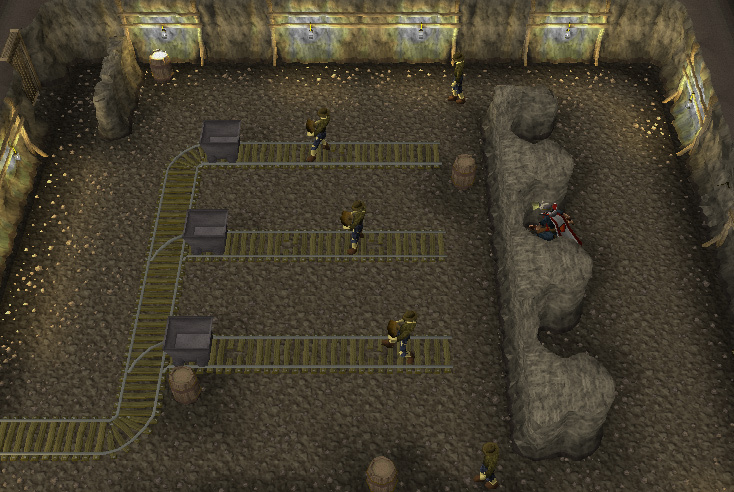 Before moving, make sure that all the miners on the tracks are facing away and that the ones that patrol to the east are facing west in a similar way to the above image. On the eastern wall opposite the central gap is the damaged part of rock that you should Prospect when the two miners who could potentially see you are facing away, quickly making your way back to the hiding space. Wait until they have come and are heading away again, then Mine the rock that has been Prospected before quickly passing through the gap. You will find yourself in a narrow tunnel, so head south, west then north until you get to a Lever on one side and the Metal Door on the other. Pull the lever and Ezekial will come through and start following. Head back round the tunnel until, just south of the entrance door, you find a door on the eastern wall that you should pass through. You will find Kent and Caroline in here and upon talking to them, you will get repeated blabber about how Kennith is so wonderful and a belief that the Slugs are doing great work, making them useless at helping you with your task. Talk to Ezekial and he will explain how to get through the next room. Slugs are not very fond of heat, but luckily there is an element called Rubium in the walls of the cave, identified because it is red. The amazing thing about this element is that it reacts with water and there are steam vents in the floor, so you'll need to mine some Rubium and place it into each of the Steam vents, heating the room until the miners collapse. Head into the next room, making sure run is on so that you are ready to heat up the room with Rubium! 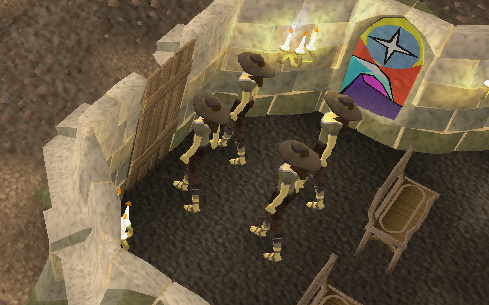 Make sure that when leaving a hiding position to go into the open none of the miners are looking. After each of the pieces of Rubium have been added, the room will have become hotter and more orange until the miners collapse. Leave through door x in the south-east corner and you will find yourself in another room with Ezekial. Talking to him will uncover that the next room is similar to the last, where you have to heat up the room with Rubium in steam vents. As with the previous rooms, if you are seen, you will be dragged out and have to start the room again, so having Run on to get to hiding spaces quicker certainly helps. 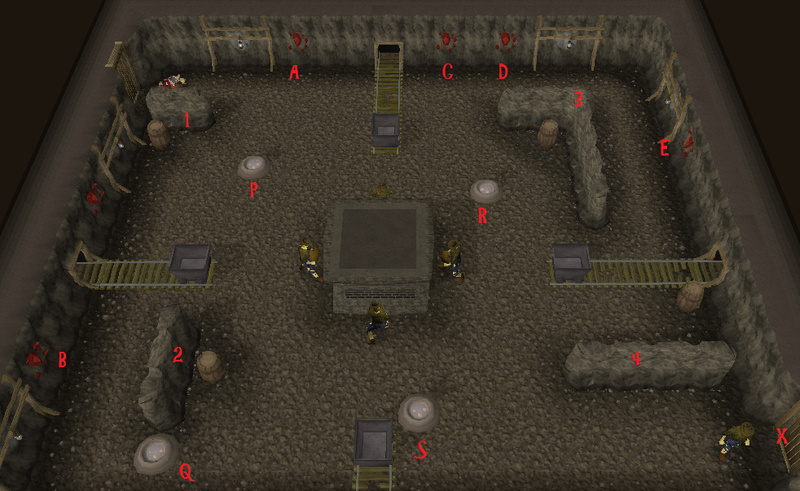 The miners will then collapse and you can leave through door x on the eastern wall. You will find that Kimberly's parents, Clive and Katherine are in this deep room, mining a rock positioned between them. Talk to them and they will explain that they can hear voices saying "You must leave" over and over again and are unable to make it stop. As well as hearing voices, they are unable to control their bodies like puppets and want you to check on the children. 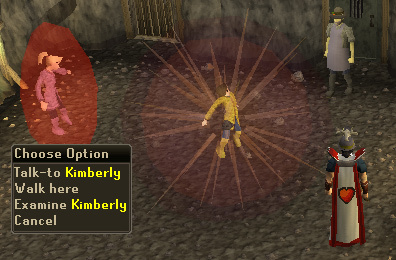 Kimberly is said to be OK, so you will need to check on Kennith. To get to him, head back through the three rooms you completed puzzles in until you find him in the first room. Talk to him and you will find out that he was actually looking for you too because you were interfering. He'll then go on to explain about how he harnessed the weak minds and wills of possessed villagers to try and make Kimberly leave Witchaven because she lost his favourite toy train. A cut-scene will show him making a large shining ball appear around himself and Kimberly being summoned in a red ball. Ezekial will also appear and suggest that the only way to solve the problem is to find his Toy Train. To get an idea of where to find the Train, talk to Kimberly. 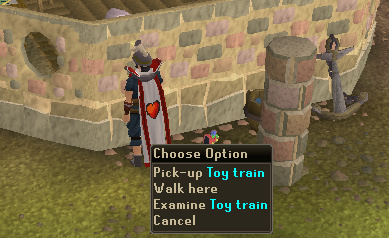 Head to the location she mentions and look around on the floor for the train to pick up. 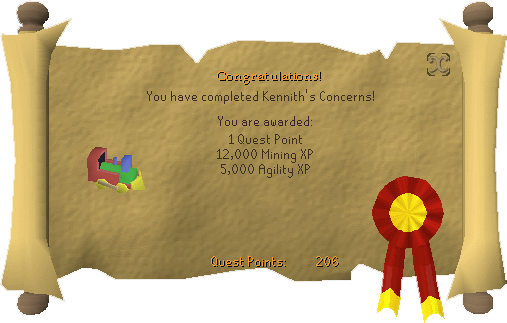 Head back to Kennith and use the Train on him. With the Train thrown at him, he will come out of his glowing ball and release Kimberly, getting to the ground and playing with his Toy Train like all good evil villains should. Kimberly will leave the room, to be replaced by Kent who explains that he will do as intended all along: take Kennith back out to the Fishing Platform since Bailey knows how to deal with tricky situations and will be good for him, with a sudden interruption by Kennith to say that the Queen is coming for you, something that seems to go unnoticed. Ezekial will come into the room and explain that Clive and Katherine are refusing to leave the mine because Witchaven isn't safe to raise a family. He will also be happy to buy any Rubium you bring to him so he can stockpile the Ore for a plan to get rid of the Sea Slugs, although if he told you what it was he'd have to kill you!